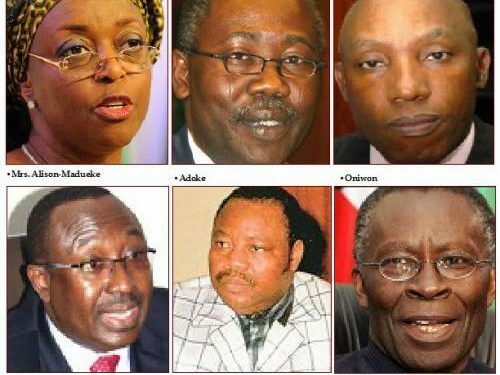 The probe into the controversial $1.092 billion Malabu oil deal led to the murder of an official of the Corporate Affairs Commission (CAC), it emerged yesterday. Ndia spoke when he appeared before the Hon. Razak Atunwa-headed House of Representatives ad hoc committee on the alleged corruption, malpractices and breach of due process in the award of Oil Prospecting Licence OPL 245 on Wednesday. Umar’s murder led to the disappearance of the file in which the structure of the ownership of Malabu was “illegally” changed, the committee learnt. Although Ndia’s appearance before the committee was secret, The Nation obtained the details yesterday. Other details obtained by the newspaper show that the Economic and Financial Crimes Commission (EFCC) plans to prosecute two former Ministers of Justice, Mohammed Adoke, and Bayo Ojo. Also to be arraigned is former Minister of Petroleum Dan Etete. EFCC Acting Chairman Ibrahim Magu, who was represented by the agency’s Senior Prosecutor, Ojogbane Johnson, said those involved would be charged to court this week. According to the commission, others to be charged include Alhaji Aliyu Abubakar, Malabu Oil & Gas Limited, Rocky Top Resources Limited, A Group Construction Co. Ltd, Megatech Engineering Co. Ltd, Imperial Union Ltd and Novel, Properties & Dev. Co. Ltd. The position of the anti- graft agency is sharply different from that of the Attorney-General of the Federation and Minister of Justice, Abubakar Malami, who while appearing before the committee on Tuesday, said the evidence against Adoke and others were inconclusive. “One thing I have to bring to your notice is that investigation is ongoing. I cannot with certainty jump to the conclusion of the indictment,” Malami had said. Adoke has washed his hands of the Malabu deal, saying the transaction was concluded seven years before he became minister.